Piola, the popular pizza place that lost its lease near Lincoln Road last year, has found a new spot in South Beach. The restaurant has just leased 3,031 square feet at 705 Washington Avenue, and will soon begin building out the space, Irma Figueroa, director of retail leasing and sales for the Comras Company told The Real Deal. Figueroa represented Piola, and Comras Company’s Michael Silverman represented the landlord, RLG Properties LLC. Robert Garner is the manager of the entity, records show. Figueroa declined to disclose lease terms. 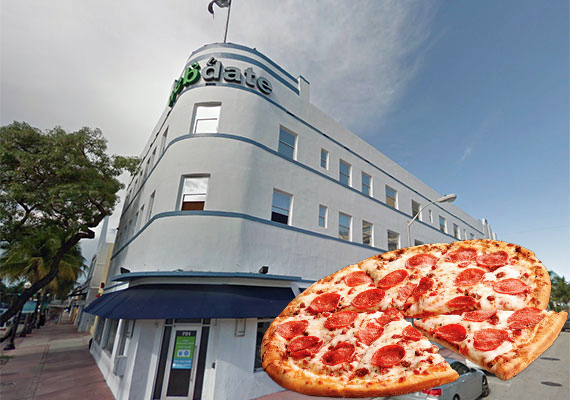 Piola had operated at 1625 Alton Road, near the corner of Lincoln Road, for 15 years before its lease expired at the end of August 2015. Now, it will be about a mile away in a space that was formerly home to Grazie Italian Restaurant. In recent months, Washington Avenue has increasingly become a magnet for new restaurants. Earlier this year, Spring Brothers Irish Pub, a Geneva, Switzerland-based eatery, opened its first U.S. outpost at 1248 Washington Avenue. And Yuca and Ceviche 105 are teaming up to open a new restaurant, Cubiche 105, at 1555 Washington Avenue in Miami Beach. The street’s new wave of redevelopment comes amid the city’s approval of new measures that are designed to increase hotel space and retail and dining opportunities on the street, which lags far behind Lincoln Road and Ocean Drive in attracting first tier retail, dining and hotel venues. Piola recently launched in Pinecrest and will soon open in Doral, in deals brokered by Figueroa. Piola also has locations on Brickell in Miami, in Hallandale Beach, Fort Lauderdale and Weston, as well as in Houston, Texas; Arlington, Virginia; Washington, D.C.; and Raleigh, North Carolina, according to its website.